Dress your maids in beautiful blue hues for a universally flattering shade and an oh-so-chic colour palette. 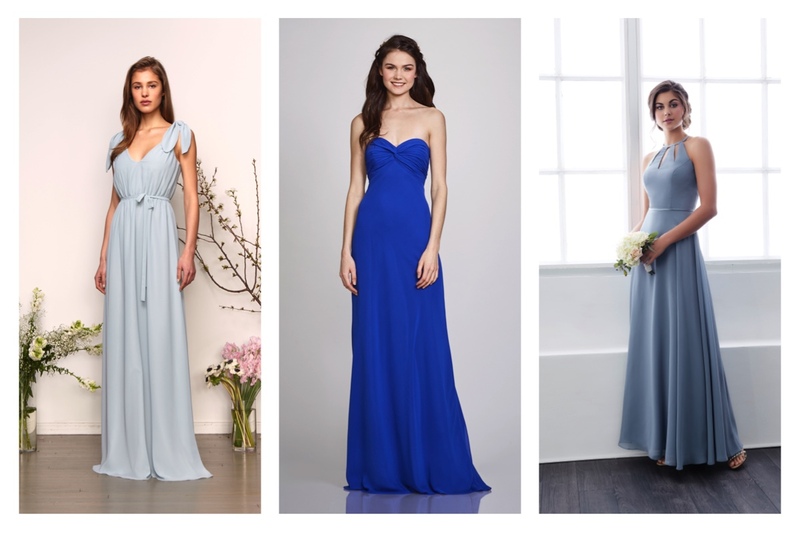 Many brides-to-be follow the tradition of having something old, something new, something borrowed and something blue – so why not dress your bridesmaids in the colour of the moment for a romantic and regal vibe that will stand the test of time. Symbolising depth, stability, trust, faith, calm and purity this versatile colour makes for stunning bridesmaids dresses that are not only ultra-flattering, but also work brilliantly with a range of skin tones and hair colours! Consider pastel, powder, cornflower, sky, light and baby blue dresses in ethereal, floaty fabrics for a soft, romantic and classic wedding day style. Alternatively, make a statement with royal, cobalt, midnight or even Pantone’s Nebulas Blue, a celestial and starry-eyed shade that’s brand new for autumn 2018. Whether you’re looking for gorgeous Grecian gowns, stylish halter-necks or pretty lace detailing for your best girls, there’s something for everyone. Finish off the look with these fabulous blue shoes and accessorise with sparkling diamanté jewellery for an icy finish! 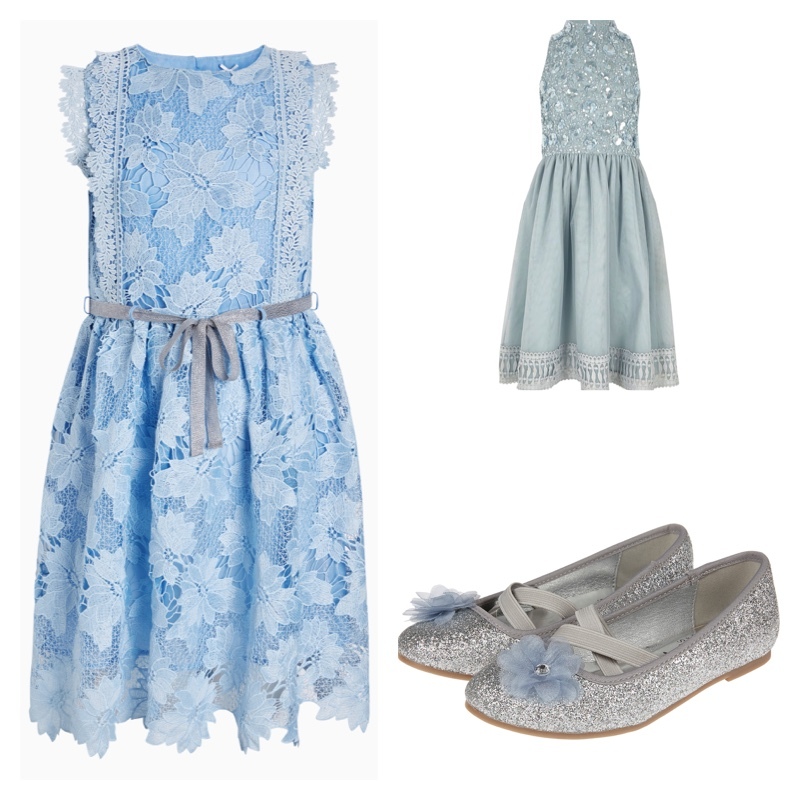 Check out the high street offering for the tinier members of your bridal party for pretty blue dresses and sparkly shoes!